News: 3D printers and laser cutters will be available for building prototypes. Barclays is working to nurture UK start-ups though the launch of Eagle Labs across the UK. The labs are designed to provide access to resources that include mentoring, event space, 3D printers and laser cutters, the idea is to give UK start-up and scale-up communities a boost that will help them build their digital and business skills. Barclays ran two pilots in Bournemouth and Cambridge and is now opening a third lab in Brighton this week, it plans to open up to 20 Eagle Labs this year as part of its wider roll out across the UK, including in Birmingham and Huddersfield. Ashok Vaswani, CEO of Barclays UK said: "Technology is transforming the speed at which start-ups can grow and scale. Simply having access to a 3D printer can now help people turn a clever idea into a business success overnight, and by providing practical resources alongside our financial expertise we intend to help people succeed." Spaces at the labs will be designed around the needs of local entrepreneurs, businesses and communities and will be tailored to suit regional economic strength in specific industries. Supported by the Barclays’ Digital Eagles, the labs will feature incubators that will target high-growth firms and entrepreneurs that are projecting 20% growth or more. According to Barclays they will benefit from collaborating with other like-minded businesses and mentoring from their own industry experts. Access to 3D printers and laser cutters will be provided, this is so that the businesses will have access to the tools they need to quickly produce and test prototypes without having to import from overseas. The latest Barclays and BGF Entrepreneurs Index shows that the number of start-ups in the UK is at its highest in three years, up 3.86% nationally in the first up of 2015, however, the number of high-growth businesses has declined. This indicates that more needs to be done in order to help growing businesses to thrive. 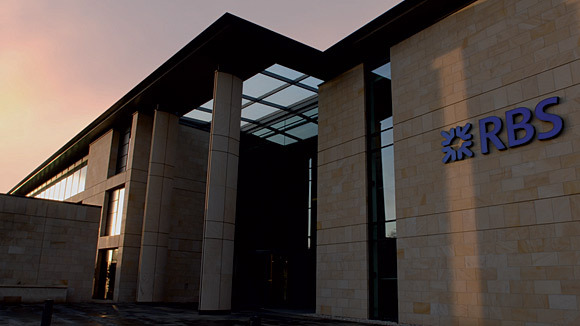 Barclays isn’t alone in helping to support innovation, the Royal Bank of Scotland has opened an Open Experience Centre at its Edinburgh HQ building. This move puts the bank’s tech staff alongside its Entrepreneurial Centre that hosts up to 100 entrepreneurs and ten start-up support organisations. Simon McNamara, CEO, RBS said: "Open innovation means bringing start-ups and other partners from outside the bank to feed into what we do to capture the smartest ideas." In addition to the Open Experience developments the bank has set up a network of global scouting teams that visited around 1,000 companies last year. These visits took place across companies in the UK, Israel and Silicon Valley, they are designed to help identify some of the best and innovative ideas in the sector. McNamara said: "We’ll work in multidisciplinary cells, in 8 – 10 week sprints to take the opportunities from our scouts, turn them into concepts and test them in labs with our customers to refine and develop them into great experiences." Banks have come under increasing pressure to innovate as new challengers to their market have forced them to invest in new technologies.